Amen! 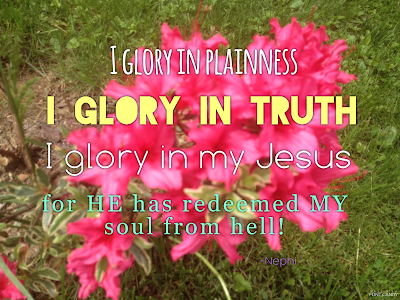 This verse of scripture came into my mind a year or two ago during fast and testimony mting. I was told by the Lord to make them mine and declare this infront of my ward members. Thanks for sharing your thoughts, Sally! It is such a beautiful thought from Nephi. I've felt the same too - to make them mine! 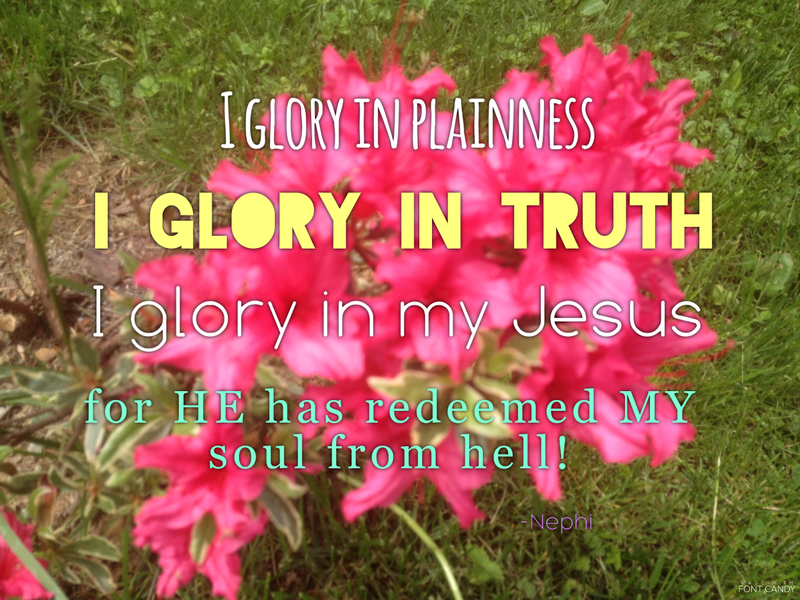 I glory in my Jesus, for he has redeemed my soul from hell!